Thankfully, the above photograph of last night’s meal is free from the dreaded blurry black spot. What spot? Oh, just the one that appeared after I dropped my camera on the tile floor. I managed to maneuver my foot enough to catch a bit of its fall. However, it still fell about four feet. I should probably not be allowed to have nice things. The likelihood I’ll drop something, or spill something on it, is very high. But, a quick google search enlightened me to a whole community of clumsy folk. The black spot was the result of a speck of dust landing on the sensor. I removed the lens and after one quick puff of air my pictures were good as new. 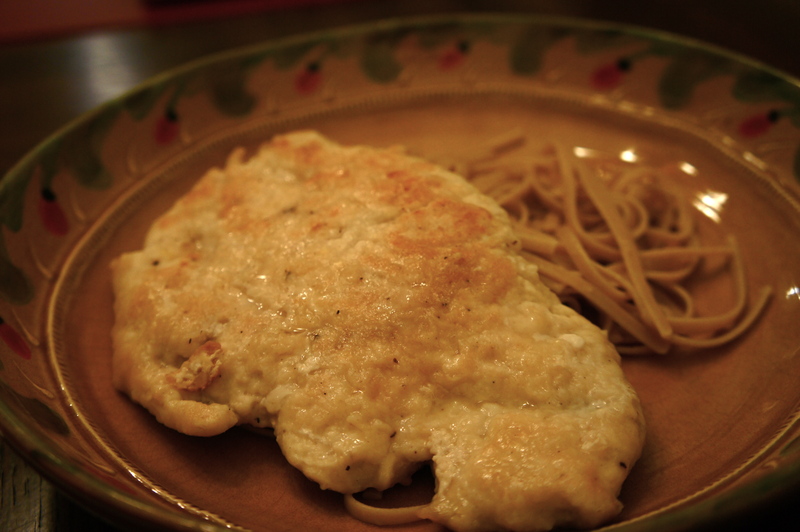 Chicken Scaloppine after a camera freak-out was a welcome meal. I love simple and fresh chicken dishes. Pounding out the chicken quickens the cook time and also makes me feel like I’m eating a larger portion than I actually am. Adding a punch of zest enhances the lemon flavor and compliments the pasta wonderfully. Heat the butter and oil in large nonstick skillet over medium heat. Dip pounded chicken in flour mixed with salt and pepper. 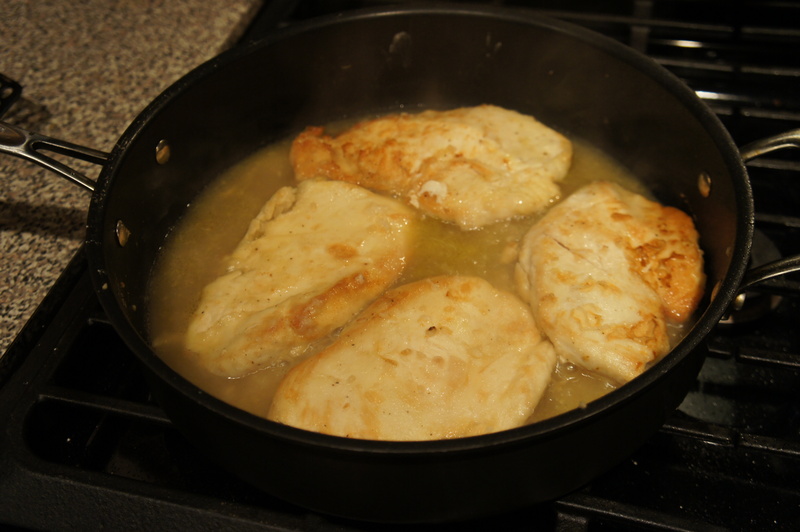 Cook the breasts until lightly browned and cooked through, a few minutes per side. Remove from pan. Set aside chicken and keep warm. Add the chicken broth to the pan and simmer, scraping up the brown bits with spoon, until slightly thickened, about 5 minutes. Stir in lemon juice. Add the chicken back to the skillet and sprinkle with zest. Don’t forget to add a scoop of sauce to accompanying pasta.